“We believe self-illumination is every human’s birthright. It's our privilege providing the tools." Contact us and ask about our new annual subscription plan with two months free! 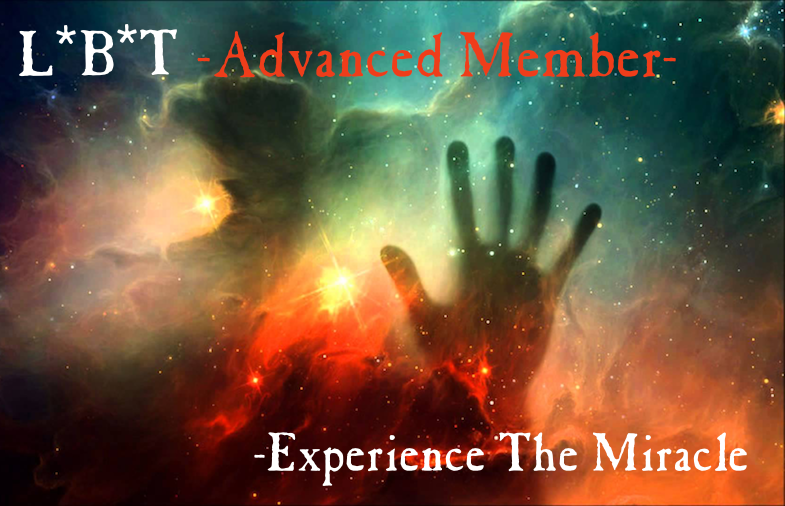 For serious seekers from all walks of life, the L*B*T provides its Unlimited members with one of the most advanced spiritual learning centers in existence. The keys to understand and experience life as you never have before are all here for you. You will heal your insecurities, discover the true meaning of your life, and become self initiated, into an existence of authentic balance and harmony. Our concealed menus are packed full of hundreds of pages of lessons, and many hours of educational video materials. The information will help to transform the sincere spiritual seeker into a truly illuminated one. This is not a figure of speech, as it is our highest priority to make available the most effective and life altering spiritual practices known to humanity. The transformational materials available to our unlimited members have been meticulously composed from the deepest spiritual teachings of the ages, and are nothing short of the keys to conscious immortality. The sources and methods have never been presented in this way before, and it is not only our honor and privilege, but also our responsibility, to provide them here for you. As a member, you can also be certain that, each month, the bulk of your membership fee goes directly to one of our seven international Charity affiliates. Note: You will not find these spiritual learning tools all in one place anywhere else. We have methodically composed a highly advanced spiritual learning center that cannot be matched in its effectiveness and volume. Herein lie the most authentic methods of spiritual evolution ever known. We welcome you to our community! * Introduction to Metaphysics Course (A fundamental and profound course in Metaphysics by Ethan Volroy) -Covering all aspects of modern metaphysical study; this book is key in beginning the practice of metaphysical sciences in your life. Complete and comprehensive with powerful concepts to absorb. * Healing Through Frequency (-Powerful Transformational Nine Video Series) Access the same quantum frequencies used by great mystics throughout time to heal, transform, evolve, and illuminate yourself and others. This powerful video series is composed of specific binaural frequencies to produce the following results in you both your inner and outer universal experience. -Foundation 174 Hz. -Quantum Cognition 285 Hz. -Liberation From Fear 396 Hz. -Transmutation 417 Hz. -DNA Repair Miracle 528 Hz. -Relationship Harmonization 639 Hz. -Consciousness Expansion 741 Hz. -Awakening Intuition 852 Hz. -Numinous Accord 963 Hz. * The Complete L*B*T Astral Projection Mastery and Self-Illumination Curriculum (Life, is But a Dream) – A complete course in astral projection filled with powerful new meditations and life altering information. Taking any individual from a basic level of existence, to an illuminated place of being through mastering the phenomena of astral projection. This is a highly reliable course, based in Hermetics, Yoga, and Kaballah. Nearly 400 pages, our curriculum leaves no stone unturned in self-discovery through the occult sciences. Learn to leave your body as the ancient masters did, and explore the astral and spiritual realms as an illuminated Light Body traveler! Our AP curriculum also includes a powerful an intimate twelve video meditation series. Each week, you are taken through your meditations with highly effective frequencies and words via our private astral projection video series. * Bahagvad Gita (Hindu/Yoga Practice and Philosophy) -A life changing study in the spiritual essence of humanity from the ancient world. The Bahagvad Gita remains a vital part of spiritual study for all. * The Secret of the Golden Flower (Taoist Practice and Philosophy) –Illuminating practices and insights from the ancient world. Discover the secret inner workings of yourself and your entire existence through ancient Taoism. Experience the path to God in a truly healing and evolutionary way. * The Corpus Hermetica (Hermetic Practice and Philosophy) –The complete translated writings of Hermes Trismigustus. Master of masters and the father of Hermetics, the words of Hermes touch at the core of Universal matters and the entirety of existence. A vital study for the serious spiritual seeker. * The Sepher Yetzirah (Kabbalistic Philosophy) –The creation of all that is, through ancient Jewish mysticism. A fundamental study in esoteric spirituality. To truly understand the microcosm (the human incarnation) we turn to the ancient Jewish teachings found in Kabbalah. You will see and understand yourself as a highly powerful system and structure. * Spiritual Alchemy Procedures (Alchemical Applications and Practices)- Here are given the secret steps to unlock the inner alchemical transformation within you. The seven steps of transformation are given here in great detail, both through video and text. Spiritual masters throughout the ages have used these sacred alchemical processes to master themselves and their environments, and so can you. * Over five hours of Astral Projection training videos (AP meditation videos) -Learn to leave your body at will and discover the astral realms through these powerful meditation video series. These include meditations to leave your body, as well as deep astral chants filled with powerful binaural beats that begin syncing the hemispheres of your brain. You will begin to experience the theta brainwave state from a waking consciousness. This is where your astral exits take place with great success! The Light Body Travelers Society is founded on the experience of astral projection. In addition to our AP video series, you will have access to a vast library of astral projection information. We reveal practical methods of rising on the astral planes, entering sacred passages by use of the ancient Tattva symbols, as well as explain how to use Yoga and Kabbalah techniques to induce astral projection, and accelerate your explorations within the astral realms through their use. * Over fourty hours of esoteric study video material (Uncover the occult world) -Discover the secrets of the universe, uncover the hidden truths throughout time, and learn how you can move beyond the basic levels of existence. This video series reveals the deepest known occult secrets in existence. Designed specifically to teach you the great mystical truths that have guided humanity since its beginnings. The amount and depth of the information presented in our esoteric videos section stands alone in its comprehensiveness. * An advanced Course in Daily Hermetics (Daily Hermetic Practices) -Learn how to authentically apply the seven Hermetic Laws into your daily life. This course goes far beyond the law of attraction. The L*B*T offers an in-depth, and highly advanced set of exercises, that take the seeker into the deeper realities of their existence, both in waking and dream states. Our core teachings stem from Yoga, Kabbalah and Hermetics, and this course serves as a prime example of the powerful advantages in applying these ancient truths. * Rituals and Prayers (The study and practice of Magical Ritual) –A highly evolved series of ancient magic rituals based in Enochean chant. These are the very rituals used by many great masters throughout time. Learn to authentically connect with your own higher self, invoke great spirits and archangels, and activate your inner elements to perform great magical works in your life. The level of healing and guidance resulting form these specific rituals cannot be matched! The core of our ritual studies is specifically the knowledge and conversation with the higher self through the “Retirement Ritual.” Spiritual magicians and theurgists of the ages have labeled this the “ritual of rituals.” When you reach the level of concentration to literally speak to, and receive guidance from your higher self, your life becomes an entirely new experience. You will be accurately guided and healed in all matters, on all levels. * Advanced Kabbalistic Path Working Rituals (Rising on the planes-Skrying on the tree of life for spiritual growth and self realization) -An ancient mystical practice based in Kabbalah, in which the initiate develops mental concentration while moving throughout the levels of their own psyche using the tree of life as a mental guide. A wonderfully displayed course in path working for all seekers. The level of spiritual growth developed in this practice is truly vital in spiritual ascension. * Full access to all L*B*T web events (Group meditations and discussions) -Our discussion forum is open to all members. And we hold regular community web-events. As an international spiritual community, it is important for us to share our thoughts and experiences on a regular basis. This keeps our community engaged and authentic. Remember that it is you that makes this all a miracle! * Automatic updates from Spiritualists International Magazine (SIM Updates) -Articles of metaphysical insights and guidance from master teachers around the world. * Above all, as an official member of our society, you may directly discuss your thoughts with other L*B*T members around the world. You will be connected with spiritual seekers of the same integrity to share and explore your journey. Both our discussion and contact forums are available to you to interact as you evolve in your spiritual evolution. We also provide personal guidance in your astral projection training at your request through our discussion and contact forums. 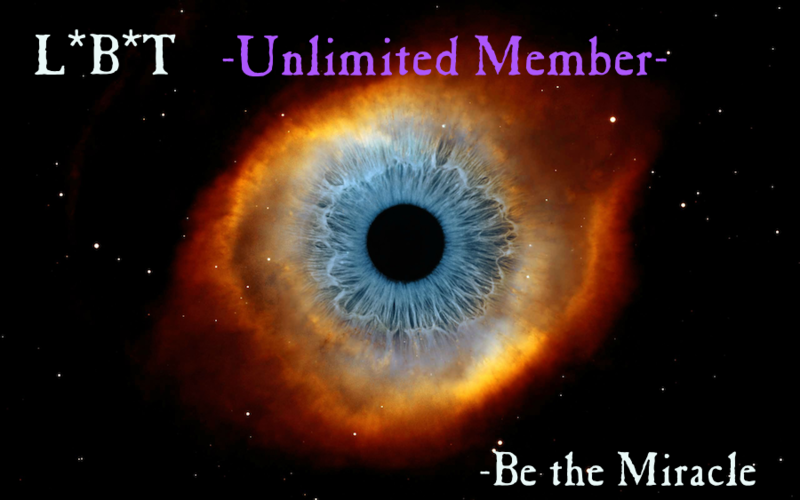 We are constantly working to bring you additional benefits through your L*B*T membership, as it is our fundamental purpose to provide life altering spiritual evolution to each member. Naturally, the amount of wisdom and the practices shared through our membership goes far beyond any monitory value. However, it is our mission to provide plentiful spiritual wisdom at an extremely low cost to all, while at the same time, contributing to our affiliated charities through your membership. You may cancel your membership at any time and are under no obligation. After subscription you will be granted following subscriptions for free. For seriously seekers from all walks of life, the L*B*T provides its Advanced members with one of the finest spiritual learning centers in existence. The keys to understand and experience life as you never have before are all here for you. You will heal your insecurities, discover the true meaning of your life, and become self initiated, into an existence of authentic balance and harmony. Our concealed menus are packed full of hundreds of pages of lessons, and many hours of educational video materials. The information will help to transform the sincere spiritual seeker into a truly illuminated one. This is not a figure of speech, as it is our highest priority to make available the most effective and life altering spiritual practices known to humanity. The transformational materials available to our advanced members have been meticulously composed from the deepest spiritual teachings of the ages, and are nothing short of the keys to conscious immortality. The sources and methods have never been presented in this way before, and it is not only our honor and privilege, but also our responsibility, to provide them here for you. * Healing Through Frequency (-Powerful Transformational Nine Video Series) Access the same quantum frequencies used by great mystics throughout time to heal, transform, evolve, and illuminate yourself and others. This powerful video series is composed of specific binaural frequencies to produce the following results in you both your inner and outer universal experience. -Foundation 174 Hz. -Quantum Cognition 285 Hz. -Liberation From Fear 396 Hz. -Transmutation 417 Hz. -DNA Repair Miracle 528 Hz. -Relationship Harmonization 639 Hz.-Consciousness Expansion 741 Hz. -Awakening Intuition 852 Hz. -Numinous Accord 963 Hz. * Select Astral Projection training videos (AP meditation videos) -Learn to leave your body at will and discover the astral realms through these powerful meditation video series. These include meditations to leave your body, as well as deep astral chants filled with powerful binaural beats that begin syncing the hemispheres of your brain. You will begin to experience the theta brainwave state from a waking consciousness. This is where your astral exits take place with great success! The Light Body Travelers Society is founded on the experience of astral projection. In addition to our AP video series, you will have access to a vast library of astral projection information. We reveal practical methods of rising on the astral planes, entering sacred passages by use of the ancient Tattva symbols, as well as explain how to use Yoga and Kabbalah techniques to induce astral projection, and accelerate your explorations within the astral realms through their use. * Select esoteric study video material (Uncover the occult world) -Discover the secrets of the universe, uncover the hidden truths throughout time, and learn how you can move beyond the basic levels of existence. This video series reveals the deepest known occult secrets in existence. Designed specifically to teach you the great mystical truths that have guided humanity since its beginnings. The amount and depth of the information presented in our esoteric videos section stands alone in its comprehensiveness. * Select Rituals and Prayers (The study and practice of Magical Ritual) –A highly evolved series of ancient magic rituals based in Enochean chant. These are the very rituals used by many great masters throughout time. Learn to authentically connect with your own higher self, invoke great spirits and archangels, and activate your inner elements to perform great magical works in your life. The level of healing and guidance resulting form these specific rituals cannot be matched!